Tygon B-44-FF tubing delivers clarity, high tear strength and excellent abrasion resistance, making it ideal for many food and beverage applications. It offers exceptional resistance to oils and fatty foods and complies with EU Regulation 10/2011 and FDA food standards. While many rubber and plastic materials exhibit resistance to certain solvents, oils and chemicals, Tygon B-44-FF tubing resists a much wider range of substances. Tygon B-44-FF food and beverage tubing is plasticizer-free and remains flexible even when cycled through temperature extremes; it can be safely used in temperatures ranging from -100°F (-73°C) to 200°F (93°C). 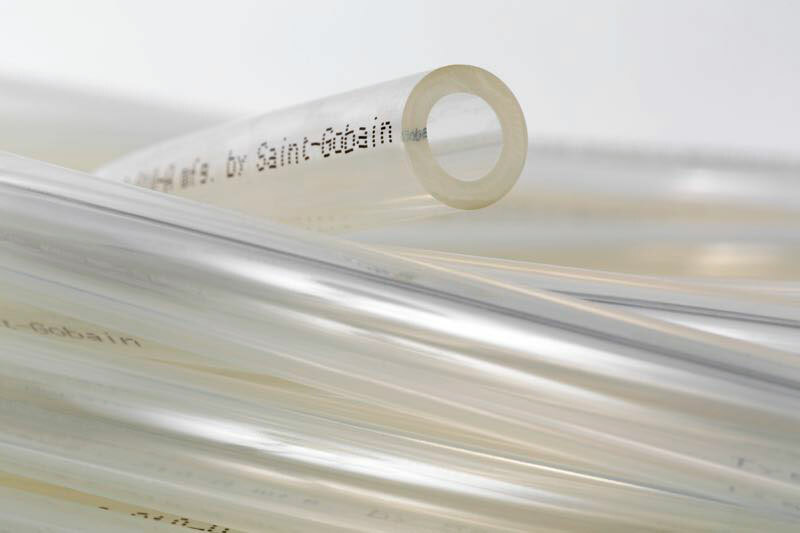 Plasticizer extraction leading to embrittlement is one of the most frequent causes of failure when flexible tubing is exposed to harsh chemicals.